In response to a Freedom of information request the York Council has revealed that it paid £98,348.37 to solicitors acting against LibDem Councillor Keith Aspden. Copies of invoices submitted by solicitors acting for the Council have now been published. They total rather more that the figure admitted by the Council. Cllr Aspden had – unjustifiably as it turned out – been accused of breaking the Council’s Code of conduct. Cllr Aspden was suspended from his executive position and was only recently formally exonerated. In addition to the costs of engaging outside solicitors, the Council incurred undisclosed internal staffing and other expenses. 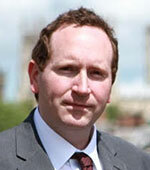 As well as loss of earnings, Cllr Aspden was forced do pay for his own legal representation. To put the matter into perspective, had the £98,000 been spent on road repairs then an additional 6 streets in the City could have been resurfaced last year. The matter is still subject to an inquiry into how the case came to be so badly mishandled. Compensation may also be on the cards. At least one official who was involved in the case is set to leave the authority. If they try and refuse it, as so often the case I will access through citizen audit powers in June. They have nowhere to hide on this. Thank you Eric Pickles.